Don’t miss our fabulous Bali Bundles made from our gorgeous hand dyed batik fabrics. 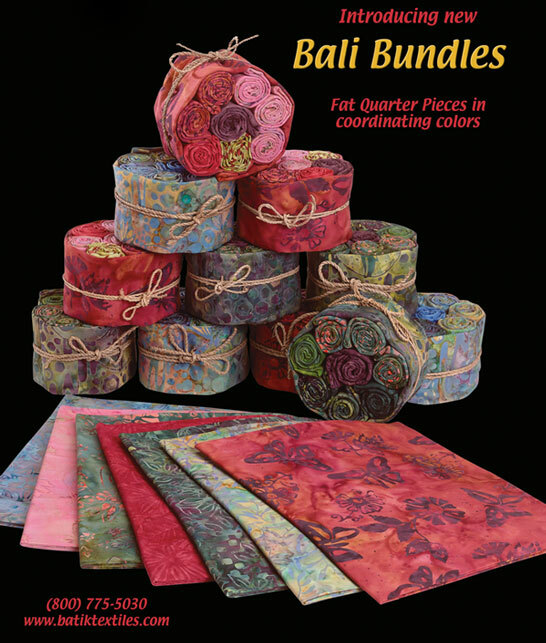 Each bundle consists of 9 color-coordinated fat quarters. In each bundle our fantastic designer, Susie Shkolnik, has included one of her original patterns for a table runner. You have everything you need to complete your table runner in the Bali Bundle, or use these fabulous fat quarters for your own project.